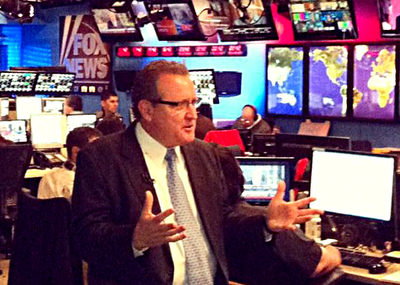 We were honored to interview, Mark W Schaefer, author of the best selling Twitter book, "The Tao of Twitter". His book is not only a primer on how to use Twitter but his "zen" philosophy on how to turn it into a real business connection powerhouse. In this interview, Mark was a real quote machine. "My great point of differentiation is that I am old"
"I thought Twitter was the stupidest thing that I ever tried"
"What was missing was a real human user's guide (to Twitter)"
Well, Mark says he is old but his viewpoint on Twitter is very progressive. He wrote the book to help people use Twitter. Mark emphasizes in his book three key ideas of the Tao - Targeted Connections,Meaningful Content and Authentic Helpfulness. Mark recognized, as a society, we keep using new technologies in the old paradigm. With social media you can't use it in the old paradigm. "It is not about B-toB, or B-to-C, Social Media is about P-to-P"
I think I called Mark a combination of Woody Allen and Guy Kawasaki. The humor of Woody and the passion of Kawasaki. The book's stories had a Allen-esque feel to them and the passion of the teachings through Mark's stories really emphasize the potential of Twitter. I felt whether you are a novice or a regular user there is some value to gain by reading this book. The book is available through McGraw-Hill Professional, iBookstore, Kindle, and Nook.